In its Q1 2018 Skills Index, Upwork reported that blockchain is its fastest growing skill (out of more than 5,000 skills). Intel forecasts that there will be more than 20 billion connected devices by 2020. 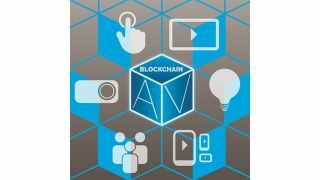 With its potential to create a common standard for secure AVoIP and IoT solutions, it's time for integrators, consultants, and end users to get hip to the blockchain movement. I spoke with the team at BusinessStudent.com and they put together a list of courses that can help you better understand the technology. Cryptoeconomics 101: Introduces you to the major principles that give blockchain its value. Focuses on core topics in cryptography and economics, and how they work together to creative systems of incentives for blockchain. Blockchain 101 Intro – Non-Technical: This is an introductory course to blockchain technology. It will show you how transactions are stored in blockchain, how mining works via consensus, and the difference between permissioned and permissionless blockchain. Build a Decentralized Blockchain App: This introductory course will teach you how to build a decentralized blockchain app with Ethereum. Bitcoin and Cryptocurrency Technologies: This is an introductory course from Coursera that will teach you how Bitcoin works, how secure Bitcoin is, and how anonymous Bitcoin users are. Blockchain Application Development for Microsoft .NET: This class teaches how to develop a decentralized application for blockchain on Microsoft Windows using Visual Studio or Visual Studio Code. Click here to view our Blockchain Need to Know Series.